Dress up your plain wheel with this durable ABS plastic hub cover. The chrome-plated cover snaps into place over your wheel's 1/2" lug nuts. A 2-3/4" diameter indent allows for the application of an emblem sticker. Call 800-298-8924 to order Phoenix USA accessories and parts part number PXQT545CHN or order online at etrailer.com. Free expert support on all Phoenix USA products. 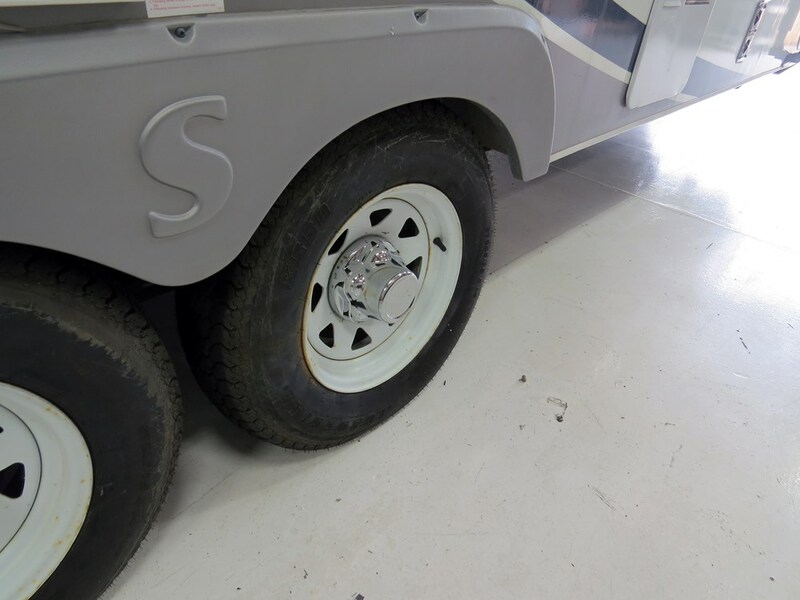 Guaranteed Lowest Price and Fastest Shipping for Phoenix USA QuickTrim Hub Cover for Trailer Wheels - 5 on 4-1/2 - ABS Plastic - Chrome - Qty 1. Accessories and Parts reviews from real customers. Dress up your plain wheel with this durable ABS plastic hub cover. 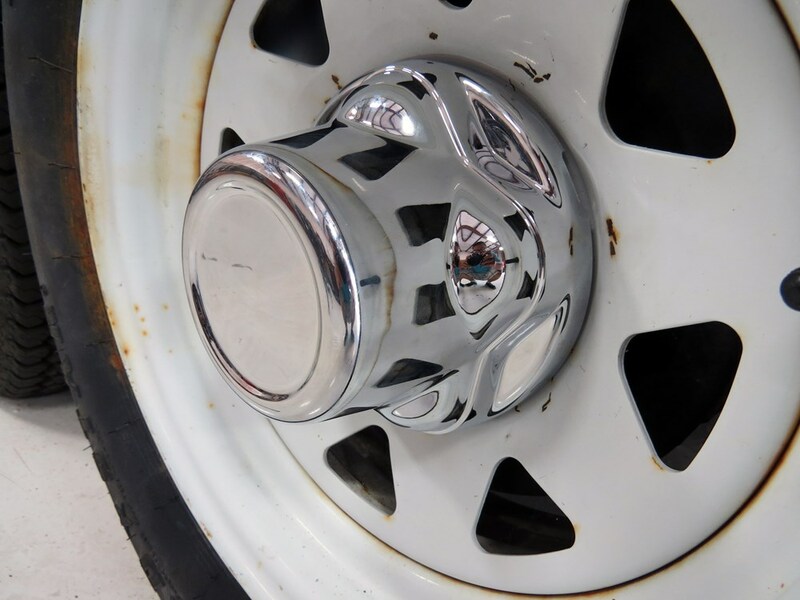 The chrome-plated cover snaps into place over your wheel's 1/2" lug nuts. A 2-3/4" diameter indent allows for the application of an emblem sticker. Today we'll be taking a look at the Quick Trim Chrome Trailer Hub Cover, part #PXQT545CHN. 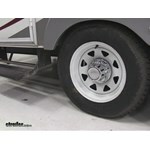 The Quick Trim AVS Chrome Hub Cover offers a quick and cost effective way to dress up your trailers wheels. 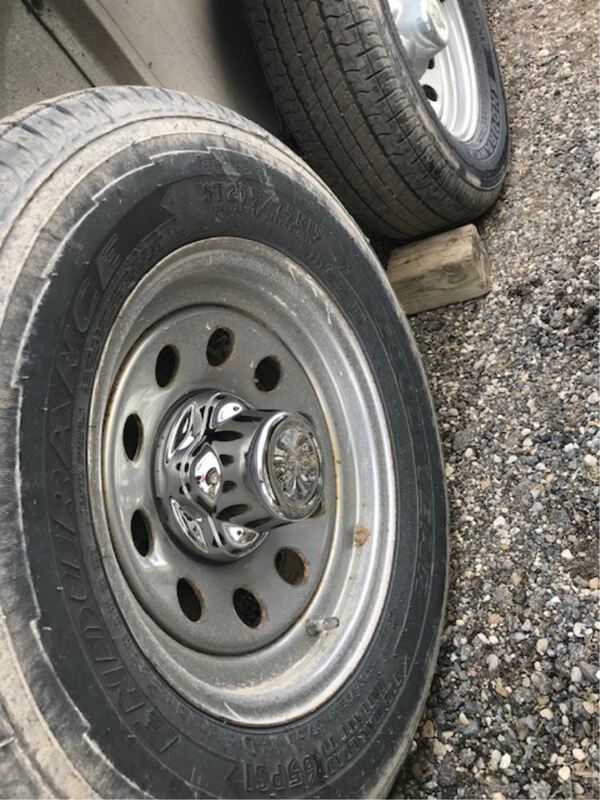 It fits wheels with a 1/2 inch lug nut and a 5 on 4 1/2 bolt pattern. The overall diameter is 6 3/8" and the depth is 6 3/4". Now that we've gone over some of the features, I'll go ahead and show you how to get your new chrome hub cover installed. On your old one here, you need to find the inlet, so we can stick a flat head screwdriver in and get it off. You want to be nice and gentle with it. Just going to work your way off. You should be able to just pull it off the rest of the way. Just like that. 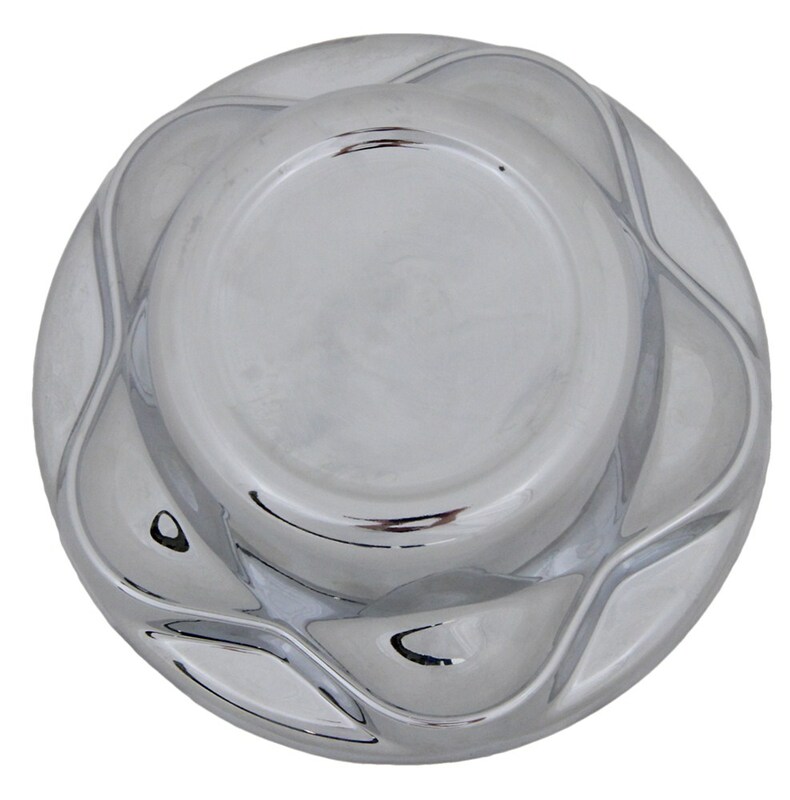 Then, you can grab your new chrome hub cover. You can see how it's going to fit on your bolts there. You just need to line those up and then push it on. Perfect. 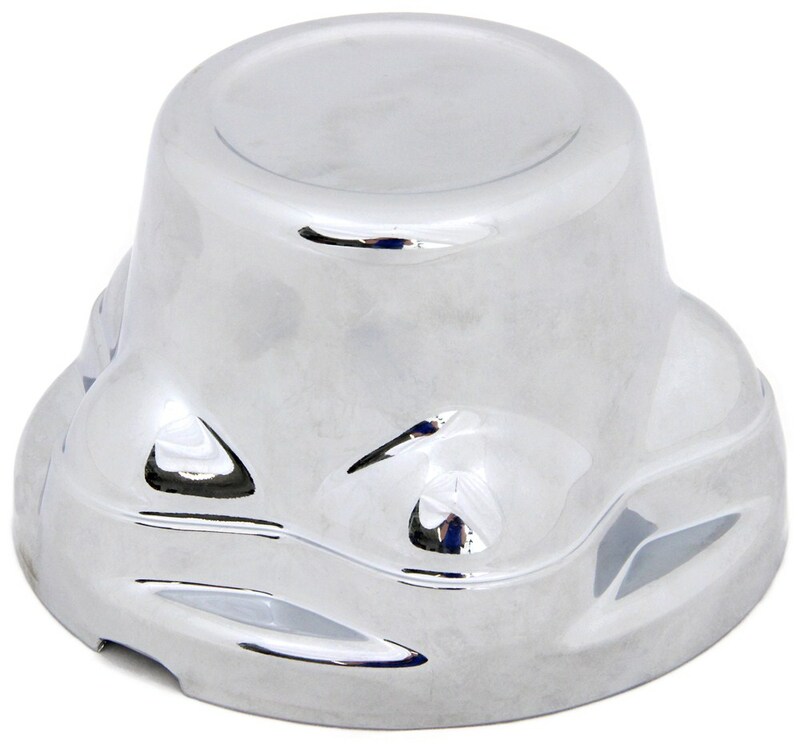 That's going to complete our look at the Quick Trim Chrome Trailer Hub Cover, part #PXQT545CHN..
Order: RelevanceNewestRating - High to LowRating - Low to High Dress up your plain wheel with this durable ABS plastic hub cover. The chrome-plated cover snaps into place over your wheel's 1/2" lug nuts. 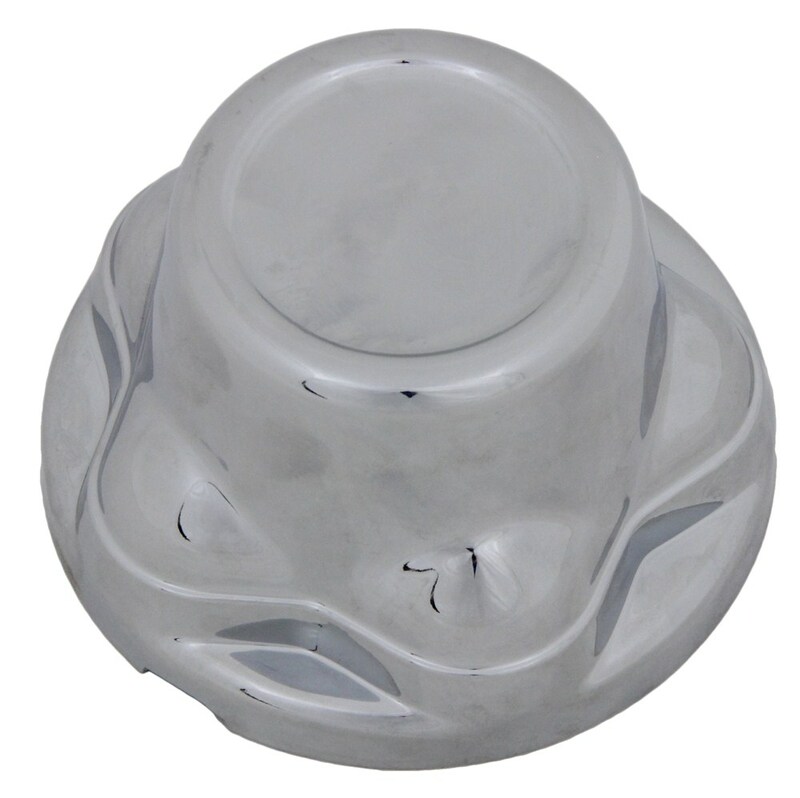 A 2-3/4" diameter indent allows for the application of an emblem sticker. Looks just like the day I bought it. The parts are fine, thanks for following up. So, I am not sure which product it was that I bought from you. However, I have always pleased with my etrailer purchases. One time we did have an issue and it was taken care of promptly. 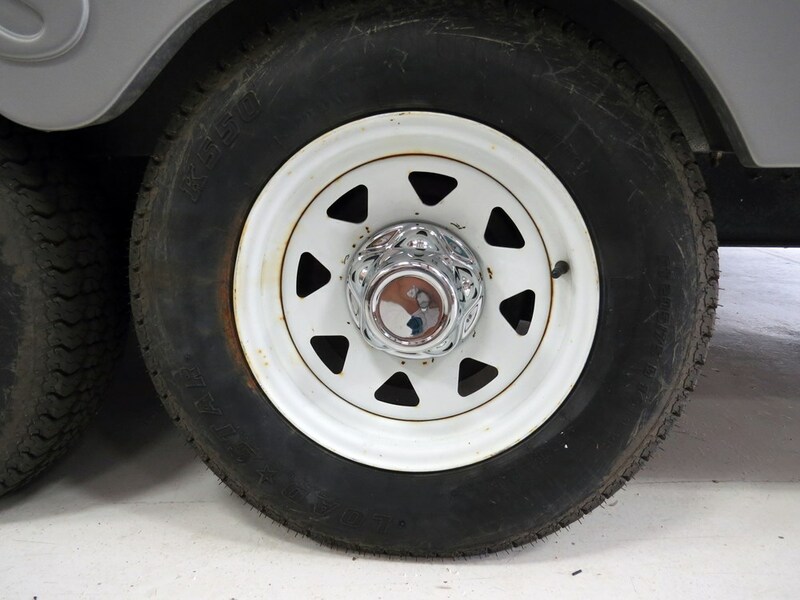 Although we don't have a hub cover that's compatible with a 5 lug on 5-1/2 inch bolt circle, I might have a solution that would dress up your wheels. If you could reply with the diameter of the pilot opening in your wheels and the diameter of your wheel studs, you could use a Wheel Center Cap like # 319EZ. When used with some chrome lug nuts such as # 12CLN. 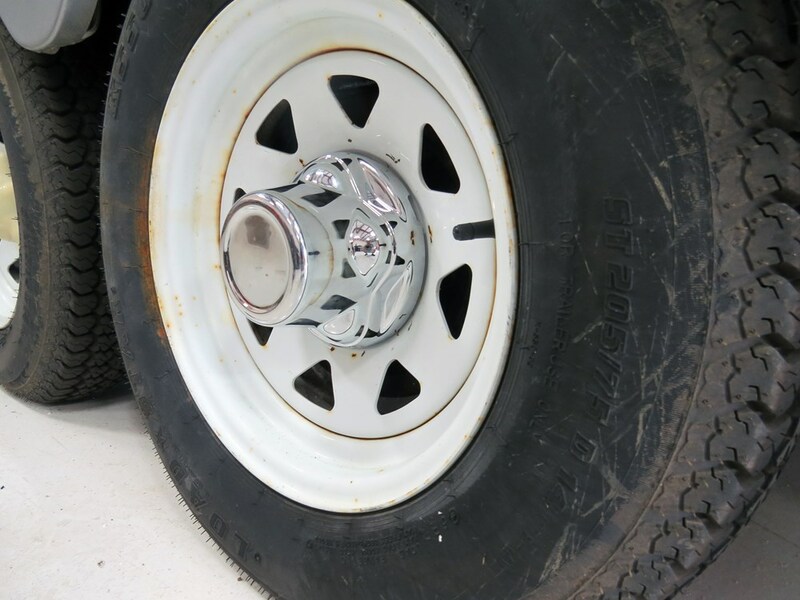 The center cap and lug nuts would really improve the appearance of your wheels.